Okwui talked about ideas of cosmopolitanism and creolisation, and about making exhibitions more polycentric. “The notions of hybridity, métissage, cosmopolitanism have been deployed and reworked in order to capture the polycentric and polysemic aspects of these new configurations,” he said. 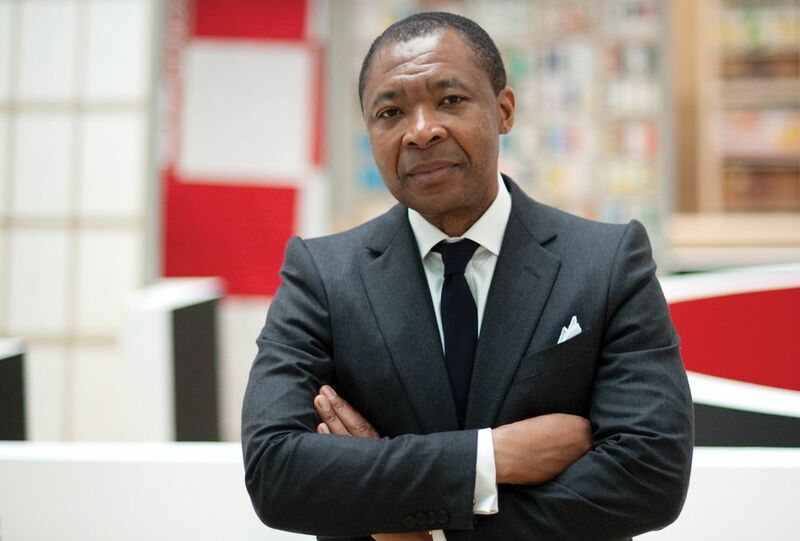 Through the Johannesburg Biennale, Okwui gave an important platform and voice to a group of curators by working with the art critic and curator Octavio Zaya on his section called ‘Alternating Currents’. Much of what he outlined in his Johannesburg Biennale came to full fruition later, in the larger shows he staged. From ‘The Short Century’ to Documenta, to the Gwangju Biennale, to the triennial at the Palais de Tokyo, to the Venice Biennale, to ‘Postwar’ at the Haus der Kunst: Okwui’s extraordinary large-scale exhibitions always built bridges, always questioned the established and seemingly accepted art histories and never illustrated previously established findings, but functioned as an active laboratory. With all of these shows Okwui multiplied the number of worlds inside museums and biennials and triennials. His fearless exhibitions were never about a synthesis, which would standardise, but a network of interrelationships opening many perspectives.